At Waglands we have a ‘dogcentric’ approach to our care. Which means we put every dog’s needs front and centre. Over the years we’ve learned what dogs really need and love, and also what their owners want too. Because you are both super important to us. Dogs love to be active: both with other dogs and with humans. So that’s what we give them. Every day we run consistent small group play sessions, repeated for several hours morning and afternoon to build stability, calmness and lasting friendships and a good social learning experience. We have covered recreation facilities for those rainy days too. 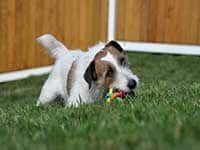 Dogs love grass: so we make that possible for them by hand mowing, maintaining, fertilising, watering, and supporting it with geo-textiles to survive the pounding our pups give it every day. Dogs love great food: yes, of course they do. And we make sure it’s fresh, delicious and bountiful. And just the right amount for each guest’s delight. Dogs love sleep: so we have a really consistent routine so they can get the best out of their balance of play and their rest and a peaceful spot to lay their head with calming music to help them settle down after having fun. As you can see, happiness is a serious business at Waglands and not something to be sniffed at! 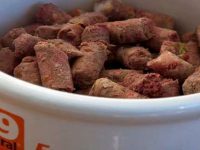 Dogs love food: We ensure guests have a healthy, fresh and delicious diet (this is part of keeping them happy too of course). K9 Natural is on the menu – grain free, natural and full of nutrients. Filtered and UV treated water is refreshed regularly. 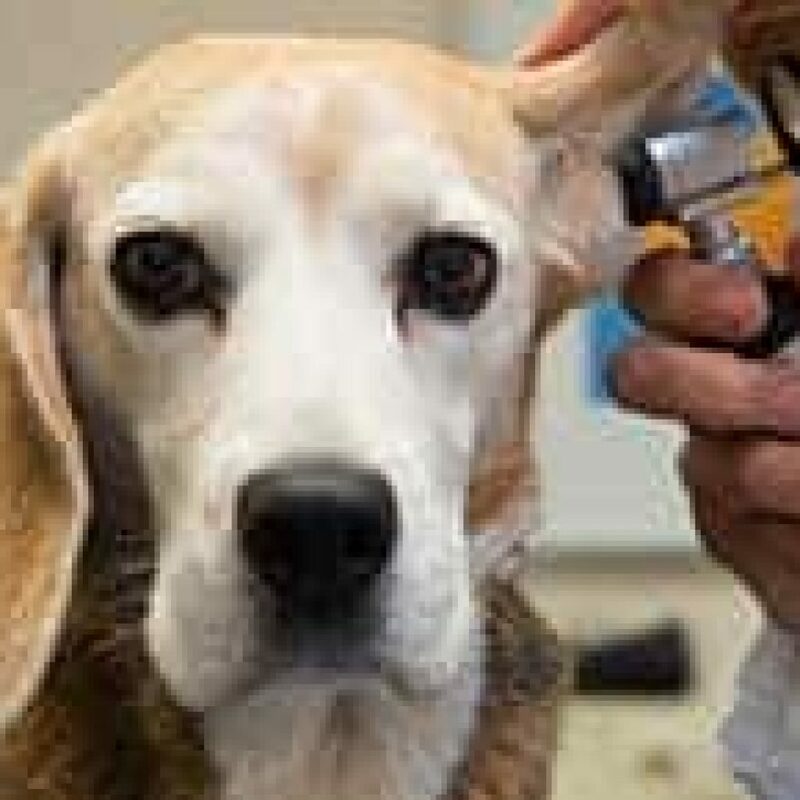 Dogs love being healthy: We conduct routine one-on-one health checks and weigh-ins to actively look for any issues that might require further care, and food or exercise adjustments to better suit their varied needs. Mandatory vaccination standards keep risk of infections to a minimum. And just in case, we have a full range of veterinary advice on tap just down the road. 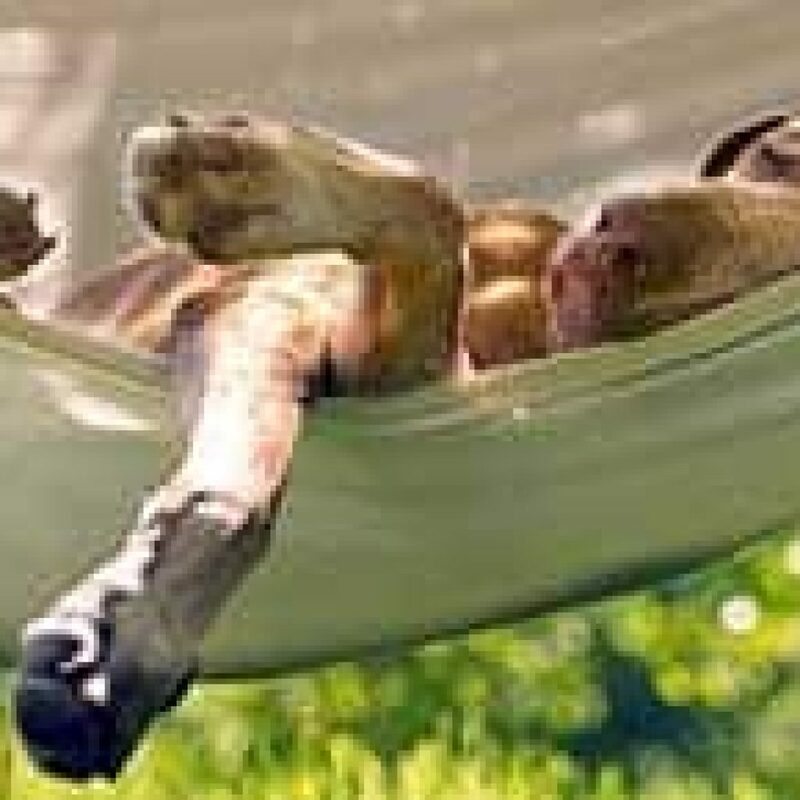 Dogs love resting: We also play calming music at key settle times to help transition from active to relaxing mode. As you can see, health is a serious business at Waglands and not something to be sniffed at! Dogs love us: Keeping your pup safe is paramount. We create consistent small playgroups of around five guests, beautifully suited to each other’s social, space and play needs. Size and temperament are carefully considered. Video monitoring is an essential tool, as is having an experienced and competent team. We know what to do, and when to do it. Dogs love routine: We have 19 separate play areas which enables us to keep groups small and mix and match to size and personality groups. Our daily routine avoids exercising in peak heat and high UV periods. Dogs love freedom: Our own premises and remote location gives us privacy and security, giving our guests total freedom within our safe control area, keeping them right here, and keeping everything else away. Dogs love company: We have a focus on social experience, so we restrict access of less social dogs and will move on any anti-social behaviour. Customers love professional validation: We are also AsureQuality certified, which means we’ve had external review of our processes and procedures with safety in mind. As you can see, Safety is a serious business at Waglands and not something to be sniffed at! Want to see our Stay Philosophy in action? Or view some of our videos about Waglands here. Our baby girl Mocha just spent her first weekend away from home. As a 8 month old puppy we were a little worried whether all would cope with her energy and ability (still learning), we picked her up on Sunday afternoon happy and content, she has settled back at home perfectly. Thank you from the bottom of our hearts for all your care for Mocha and her family, we all felt supported. We would recommend you to everyone and look forward to building on our relationship as we feel Mocha benefited from a weekend away greatly. After a disastrous stay at another kennel, we were really hesitant to try another. However from the moment we arrived we knew our doggo (and we) were going to have a completely different experience. The environment and staff were open and inviting. The check in easy, and communication while we were away fun and entertaining . We & the doggo thoroughly recommend Waglands! Timba returns home after being at Waglands...happy and tired. He loves heading up the driveway everytime we go for his holiday..he literally is almost out of the window with excitement. He knows the care, treatment and fun he has up there with the team are professional and as if he were at home. Thankyou again Team Waglands...TC is home full of appreciation for you all. I would highly recommend Waglands. We’ve returned from our first trip away without Riley and so I was quite nervous but he seems to have loved it. We did the walk around about a month before and this made me feel a lot more comfortable. The team care about the dogs and make it clear dogs are their passion. 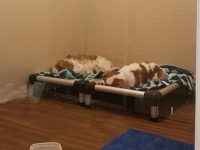 This is our Rusty's second stay with Waglands and we really can't sing their praises enough! 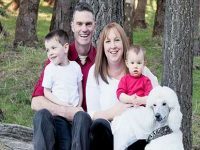 Everything is about your dog and making sure they have the happiest experience. When Rusty arrives he bounds out of the car with great enthusiasm to meet all the super staff who he sees as friends! He was kept warm with a coat during a cold and wet July and spoiled with a bone to chew on in his bed - they really go the extra mile. The happy, relaxed dog that we returned to, and the way he quickly settles back into his usual routine is testament to what a special place this is. We have been using Waglands as Sasha and Millie's home away from home for a number of years now and I can't speak highly enough of them. Ben, Arlene, Cynthia and the team put a lot of energy into ensuring our girls have a fabulous time and the bonus is when we pick them up at the end of a stay (which is fairly regular! ), they are tired, happy and smell and look fabulous - definitely worth getting the grooming done before you pick them up! We have used other kennels prior to using Waglands but after the first stay for the girls here, we would never use anywhere else. For more testimonials please visit our Facebook and Google pages.